Shuuuu!!!! SA women are exquisite. E! – NBCUniversal International Networks’ global, multi-platform brand dedicated to all things pop culture – last night announced its new brand campaign “Love E! Live E!” in Africa. The campaign was unveiled at the E!’s special celebration event in Johannesburg, marking the channel’s 15 year anniversary in Africa, in partnership with DStv. Media personalities flocked to the prestigious Sandton venue to help celebrate the channel. 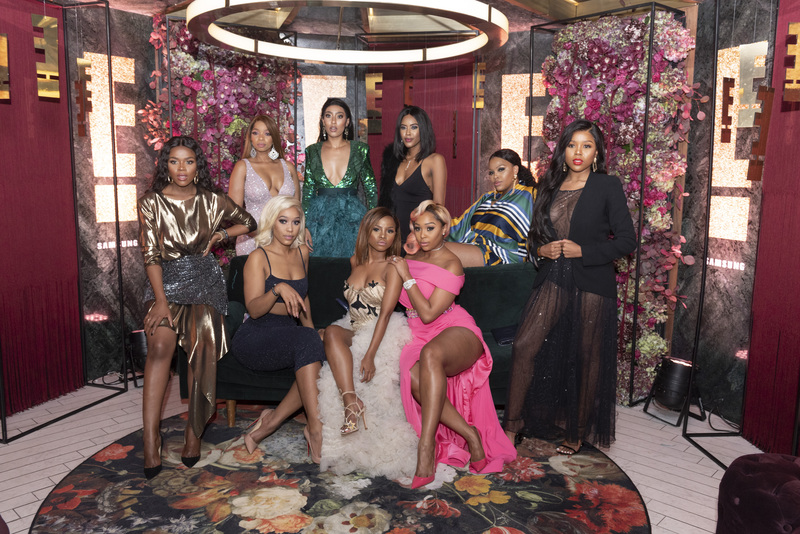 We spotted some of South Africa’s elite IT girls Bonang Matheba, Minnie Dlamini, DJ Zinhle Jessica Nkosi, Nomzamo Mbatha and many more. Actress and fashionista Buhle Samuels loves showing off her tiny waist in stunning signature pieces. This shimmery body-hugging outfit is by far our favorite from all of her most revealing looks! Minnie Dlamini was a dream in this popping pink dress from Gert Johan-Coetzee. Dimpled actress Nomzamo Mbatha was honoured with the Philanthropy Pop Culture Award for her role with the UN Refugee Agency as well as the various philanthropic endeavours. She looked stunning in a feathered number from Gert Johan-Coetzee. Meanwhile reality TV star Lasizwe wore an interesting looking attire which left us gasping for air! All hail the queen! Bonang Matheba dared to be different in this sizzling design from the Villioti Fashion Institute. She also scooped the award for E! Africa’s Ultimate Pop Culture Icon. Who said moms can’t have fun? Isibaya actress Jessica Nkosi wore an Otsile Sefolo ensemble that showed off some skin. We also noticed a tiny silhouette that cinched on her waist. Multitalented DJ Zinhle knew exactly what to wear to turn heads on the red carpet!